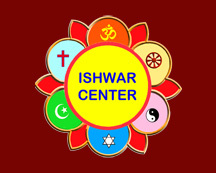 *Ishwar Center is a Non-Profit organization registered under section 501c(3) of the IRS. The proceeds from services and products go towards maintaining the Ishwar Center which offers multiple services that benefit people phycically, mentally and emotionally through a holistic and a spiritual approach. Natural Gemstones are found in the womb of the earth. Since time immemorial, Gemstones have been the valuable possessions of the rich and the kings. There are many kinds of Gemstones found in nature. Some of them are precious stones, because of their rarity and subsequently their value. The others were categorized as the semi-precious stones, because of their ample availability and subsequently their price. Each of these stones have their own quality and property, by way of colour, luster, clarity, and appearance. Here, I shall only describe the astrological Gemstones, their qualities, properties, appearance and merits. The value of these Gemstones will vary from country to country, and it is generally difficult to fix a price for a particular Gemstone, specially the precious ones. However, there is a general yardstick by which all the Gemstones are assessed and evaluated. They are the four ‘C's. Namely – Colour, Cutting, Clarity, and Carat. A stone may generally be of some colour, but the depth of the colour would make a difference. For example, an Amethyst is generally of a violet colour, but from some different mines, it may be of a deep violet or purple colour. Then the cutting makes a difference. A Gemstone sparkles and reflects it's own light because of it's cutting. The cutting is called facets. These facets reflect the colours. Greater the facets, greater the reflection. Clarity means transparency. 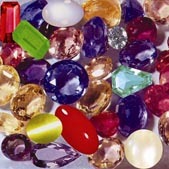 All Gemstones have some inherent inclusions and spots. Again, greater the clarity, higher the value. Lastly, the weight. All Gemstones are measured in Carat weight. Therefore, bigger the Gemstone, bigger the bill! There are many other Gemstones which are popular, but they are of no real astrological value. Therefore I do not find it necessary to mention them here. 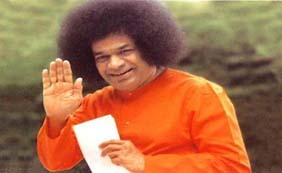 It is written in the scriptures that these Gemstones should be natural and as far as possible – flawless. Simulated stones will not work. These gems work by effect of refraction, conduction and radiation. That's why it's important that they must touch your body all the time. They are also supposed to be worn on the days of the planets, and during the first hour of sunrise. For example, a Yellow Sapphire should be worn during the first hour of sunrise on a Thursday, when the Moon is waxing (increasing). You would have to look up the time of sunrise in a newspaper, and plan your schedule accordingly.